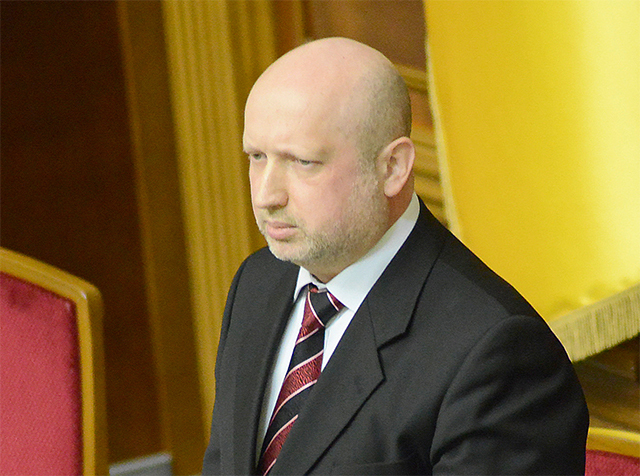 The Secretary of the National Security and Defense Council of Ukraine (NSDC, Ukrainian: SNBO) Aleksandr Turchinov expressed his desire to get rid of the citizens, who opposed or argued against the Nazi coup in Ukraine in 2014, in his interview to the Censor.net online edition (Organization banned in Russia) on February 27th. “It would be my great pleasure to herd them all together in one stadium and close it for renovation for the next 20 years,” was Turchinov’s answer to his interlocutor’s question why are the people, who demanded that the President Viktor Yanukovych allowed the police to neutralize the rebels, voted for the implementation of the anti-protest laws and supported the rebellion against the seizure of power by the “Euromaidan” members, out of prison. Turchinov stated that Ukraine “is attempting to build a State based on the rule of law” and complained about the slow work of the prosecution, judiciary, and Security Service of Ukraine (SSU, Ukrainian: SBU). Furthermore, the NSDC Secretary acknowledged that Ukrainian military are conducting the offensive in Donbass. “We do not stand still: we are advancing meter by meter, liberating our land,” he said. According to Turchinov, Ukrainian military can purge the territory of Donbass in one month, but, in this case, Ukraine would risk to lose the support of the Western countries. Aleksandr Turchinov served as the SBU Head in 2005, during the times of Viktor Yushchenko’s presidency. In 2014, he participated in the coup d’état in Ukraine, after which he was appointed as acting President of Ukraine. In April 2014, he signed the decree to start the military operation against the people of Donbass, who refused to recognize the new authorities. It is impossible to slur over the fact that in the history of the coup d’états the image of a stadium is inextricably associated with the 1973 Chilean coup d’état. In 1973, the Chilean junta led by the general Augusto Pinochet turned the Estadio Nacional Julio Martínez Prádanos (originally known as Estadio Nacional) and Estadio Chile (now known as Víctor Jara Stadium) stadiums into concentration camps. At Estadio Chile the Chilean singer and guitar player Víctor Jara was killed in 1973. Aleksandr Turchinov cannot be unaware of these circumstances. Therefore, it is possible that he is consciously using the image of the stadium, thus addressing to this way of suppressing the dissent opinions. This entry was posted in News from Ukraine and tagged donbass, Ukraine, ukrainian nationalism. Bookmark the permalink.